The 2019 Chevy Spark subcompact car is now available here at our new and used car dealership in Fort Worth, Texas, so if you're browsing for reliable models that are loaded with high-tech features, head to Bruce Lowrie Chevrolet! Model highlights include a rear vision camera and smartphone integration as standard features, as well as ten airbags and a Chevrolet Infotainment 3 System with a 7-inch diagonal touch-screen, so don't hesitate to shop the lineup right here on our website from your nearby Arlington, Texas, home. The 2019 Chevrolet Spark is the high-tech new car for sale that you've been looking for. Our new and used car dealership proudly serves the nearby Arlington, Texas, area, so if you're ready to enjoy a vehicle experience that has been customized to suit your needs, visit us in Fort Worth today. New car shoppers who are looking for a subcompact car that boasts an array of safety features are encouraged to learn more about the 2019 Chevy Spark! This nimble vehicle features an airbag system that includes driver and front passenger knee airbags, Hill Start Assist, an electronic stability control system and a Tire Pressure Monitoring System. Available systems include Lane Departure Warning, Forward Collision Alert, Low Speed Forward Automatic Braking, and Rear Park Assist. Equip your new car with the level of on-road protection you're looking for, head to our auto dealer now! Mechanical specifications of this new car include a 1.4-liter ECOTEC engine, Continuous Variable Transmission, a MacPherson strut front suspension, and traction control, so don't hesitate to test drive the Spark here at our auto dealer today! We committed to ensuring that all those who are interested in buying one of these 2019 models are able to do so; that's why we offer professional auto financing services. 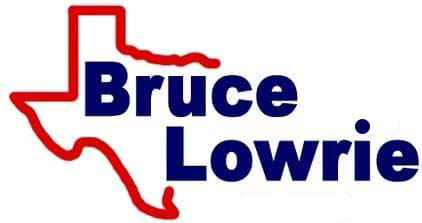 Complete one of our Bruce Lowrie Chevrolet credit applications or simply drop by to speak with our loan associates in person. From trade-in assistance to customized shopping plans and vehicle research help, our Chevrolet dealership near Arlington, Texas, is here for you. Shop our 2019 Spark inventory today or explore all the helpful resources we've made available right here on our website!